The Liber Primus - the longest continuous civic record in the country outside of Dublin. Starting in the 13th century it kept going until the 16th century. -Photograph taken in the Medieval Mile Museum in Kilkenny. The 2018 Season has begun. The last week has been a great success for one lucky wing-shooter from Reno. 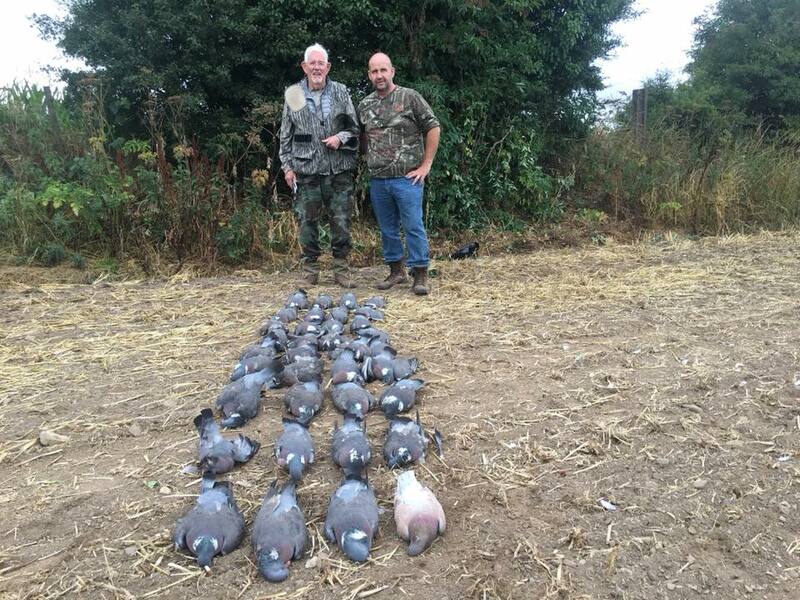 James celebrated his 80th birthday in style with us here at Celtic Field Sports and his Birthday wish was to harvest 80 pigeons on his 80th. Well as you can see from the small sample of photos below Jim did more than achieve his wish, over 100 birds taken over two days of shooting. All that's left to do now is wish Jim a great year to come and get these birds to the game dealer for processing into some delicious treats. Jim's first spot of the evening. As you can tell not only was the location good but so was Jim's aim. A very successful second evening out. We all agreed that Jim had earned his Pint, his first ever Guinness in Ireland. We here are Celtic Field Sports are packing away the last of our gear and are just about to head off to the Dallas Safari Club for the upcoming show. If you're attending this years show come by the booth and we can show you what Deer Hunting in Ireland has to offer.